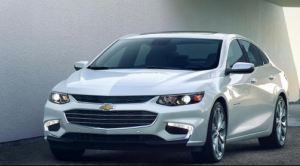 If you’re looking for a new sedan in the Bloomingdale or Glendale Heights region, there are a couple of great choices available in the 2016 Chevrolet Cruze and the 2016 Chevrolet Malibu. 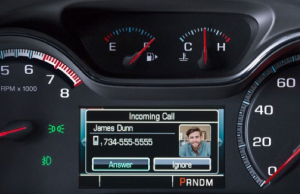 Both vehicles come generously equipped, including a standard OnStar telematics system with 4G LTE Wi-Fi. They have also been fully redesigned this year, which means you’ll get a fresh look and plenty of the latest gadgets inside the cabin. Before choosing a vehicle, though, it’s important to recognize that there are some notable differences between these models that might influence your decision. 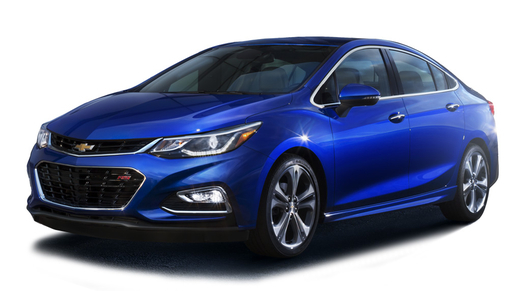 Every version of the 2016 Chevrolet Cruze comes powered by a new turbocharged 1.4L inline-four engine that makes 153 hp and 177 lb-ft of torque. You’ll have your pick between a six-speed manual and a six-speed automatic transmission with an auto stop-start features that turns the engine off while idling. The result of this advanced engineering is a very competitive EPA-estimated 40 mpg highway and 30 mpg city. If you decide to go with the 2016 Chevrolet Malibu, you’ll have a couple of engine options to choose from, as well as a standard stop-start function. 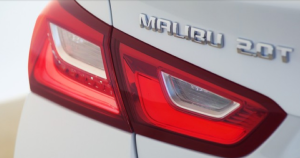 The first three trims in the Malibu lineup get a turbocharged 1.5L four-cylinder engine with a confident output of 160 hp and 184 lb-ft of torque. A six-speed automatic transmission is standard, and fuel ratings come in at 37 mpg highway and 27 mpg city. The 2LT and Premier trims run on a turbocharged 2.0L engine with a robust output of 250 hp and 260 lb-ft of torque. This model gets fitted with an eight-speed automatic transmission and still achieves competitive EPA fuel estimates of 33 mpg highway and 22 mpg city. 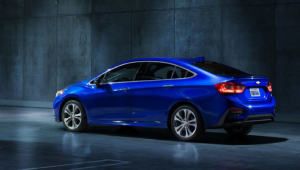 The fully redesigned 2016 Chevrolet Cruze has never looked better. The cabin features a sleek, modern design and noticeably upgraded materials, including a particularly pleasing dashboard display. 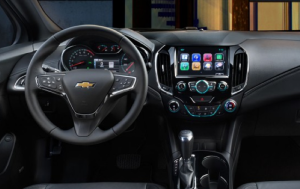 You’ll enjoy standard seating for five passengers, as well as standard features like Bluetooth, OnStar telematics, and a 7-inch Chevrolet MyLInk touchscreen interface with Apple Car Play and Android Auto smartphone integration. Moving up the line, you’ll find features like heated seats, leather upholstery, a Bose stereo system, and an advanced navigation system. The 2016 Chevrolet Malibu has also been fully redesigned this year, with upgrades of its own. Experience a truly luxurious feel with premium aluminum trim accents and soft-touch materials, as well as the same primary tech features you find in the Cruze. The biggest difference between the Malibu and Cruze is size. This Malibu gets even longer this year to add more rear seat legroom. In total, you’ll have 118.7 cubic feet of space in the interior, as well as a trunk that measures 15.8 cubic feet. While both of these vehicles come at a competitive price for their respective segments, it’s important to see which fits into your budget. Whether you decide to go with the 2016 Chevrolet Cruze or the 2016 Chevrolet Malibu, you’ll get standard turbocharging and competitive fuel economy from your powertrain, a total redesign both inside and out, and several advanced features for the price. If you’re looking for a particularly fuel-efficient, affordable daily commuter that’s still big enough to fit a small family, then the 2016 Chevrolet Cruze is a truly attractive option. On the other hand, those who are looking for more power, more passenger space, and more cargo room, and who don’t mind paying a bit more to get it will be drawn to the 2016 Chevrolet Malibu. After doing some research, you probably have a better sense of which Chevrolet sedan is better for you. You still might want to step inside of both models to get a real feel of what each has to offer, though. 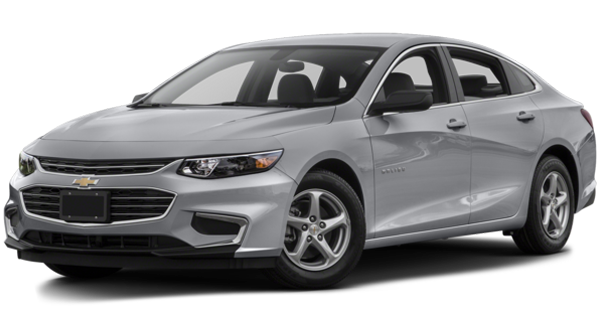 You’ll find the 2016 Chevrolet Cruze and 2016 Chevrolet Malibu on sale at Sunrise Chevrolet. We’re your Bloomingdale-area Chevrolet dealer at 414 North Ave. in Glendale Heights, IL. Contact us to find out about our competitive financing offers or to set up a test drive.